ISLAMABAD: The Ministry of Energy (Power Division) has issued a policy order recently which has drawn severe criticism from some renewable energy stakeholders as well as Sindh and Khyber-Pakhtunkhwa. The policy order is based on decisions of the Cabinet Committee on Energy. Following are the main points carried in a circular issued on January 5. Competitive bidding will be held for solar, wind, hydro and bagasse projects irrespective of the location or status. All resource risks (wind speed, hydro, etc) have been shifted to the developer/seller. The project life for renewables has been reduced to 15 years instead of the existing 25 years. There is a considerable consensus, in particular among end-users and buyers as well as the regulator Nepra, that competitive bidding should take place in renewable energy as it has proved successful in bringing down energy prices. Nepra continued to entertain tariff applications on cost-plus basis while having stopped processing upfront tariff cases. This had created an anomalous situation lacking rationale for allowing one mode and not allowing the other. There were requests from the provincial governments to allow existing projects, especially on wind power in Sindh. Zonergy of Quaid-e-Azam Solar Park went to court asking for the originally high tariff for the remaining 600 megawatts while solar prices came down very significantly in the meantime. The common thread is that the investors (vested interest) would like to benefit from the high tariff for the one last time before competitive bidding, which will result in lesser prices, probably tightening profit margins. The view is short-sighted as the renewable energy market will expand under the lower tariff. On the other hand, under the confusion and controversy of competitive bidding and also under the fear of an energy glut in the interim period with the induction of 10,000MW this year (2018), no renewable project could be inducted for almost two years and the industry is running in an unemployed status. This is probably a legitimate complaint of the investors. They also complain that every now and then a fossil fuel (LNG)-based project is approved and the renewable sector has received an unequal treatment. And the competitive bidding could have been organised much earlier without loss of a major chunk of time. Easier said than done. Competitive bidding, technically called Reverse Auction Mechanism, has not been organised in Pakistan and there is no prior experience. Power Minister Awais Ahmed Khan Leghari has announced competitive bidding in the next two months, of which one month has already passed. There is a strong case for expediting the process with a package of 1,000MW of renewable portfolio. It is obvious that the time for renewables, especially of solar and wind, has arrived. One may delay it for a while but cannot stop it. Fossil-based energy is costing in the region of Rs8.5 to 10.5 per unit as opposed to the expected wind and solar tariff of below Rs5. Solar appears to have more potential and attractiveness as it is available in all parts of the country, while wind is restricted to only Sindh. However, wind’s hybridising potential with solar gives it a unique comparative advantage, offering higher availability and cost advantages of a common infrastructure. Hybridisation is getting increasingly popular. 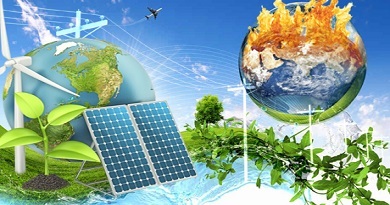 Recently, solar-hydro hybrid power plants have been built in China and Australia. A lot of unutilised land is usually available within and around hydroelectric power plants which can be amply utilised by solar power plants, offering comparable advantages as may be available in other hybrid plants such as solar-wind. Regulated rates have been high due to a high rate of return of 17% in foreign currency which in terms of local currency turns out to be 22%, something unheard of in any part of the world. Similarly, under the regulated tariff system, debt terms also remained high, without differentiation of a weak or strong borrower. Under competitive bidding, the market would price these parameters. An unintended victim of competitive bidding would be the local companies whose credibility and books would result in higher rates of lending than their foreign competitors. Something may have to be done about it. Local investors should come up with reasonable concessions in this respect without affecting the prices significantly. Another important issue which should have been debated before issuing a policy order is of reducing the tariff/PPA (power purchase agreement) period to 15 years. An important point worth considering is that the tariff model is cash flow-based and not cost-based. What would be done with the residual assets which would still have a working life of 5 to 10 years? If equity is to be redeemed in 15 years, tariff would be high. Who would manage the project/company? Do we intend to accumulate public sector interests from the back door? If the IPP is supposed to fend for itself for the period after 15 years, there is to be some market mechanism. Hopefully, electricity exchanges may come about in the time horizon of 15 years. These details have to be worked out including the associated tariff methodology before such a policy order is issued. This would particularly hurt competitive bidding and may fail the entire initiative. It would be highly recommended that this policy proposal be withdrawn from consideration. Similarly, the proposal of introducing take-and-pay contracts is in circulation. Such a proposal may be introduced for captive power or when the electricity market/exchange starts working so that the IPPs may be able to unload the capacity into the open market. Without such an arrangement, this would result in a higher tariff due to higher risk and lower capacity utilisation assumptions based on which risk assessments would be carried out by potential investors and IPPs. Fortunately, a power policy committee has been formed which may be able to consider these issues and forward suitable recommendations. Demand and supply issues may be sorted out due to the receipt of a consultant’s report, depending on its quality. Next Next post: Vermicomposting quick guide and facts!